The Australians have dominated the on-going four Test series by winning the first two Tests at Melbourne and Sydney against India by their sheer team work and have outplayed the visitors almost in every department of the game. The Kangaroo quickies ripped through their batting in both matches. Their batsmen gave a sterling performance in the second encounter by piling up huge total of 659 runs in the only innings they played with the assistance of tons by three of them. 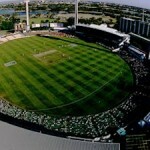 Both teams have played three Tests at Western Australia Cricket Association Ground, Perth, Australia has won two while India beat them on their last trip in 2008. We will highlight the performance of both teams in the past at WACA along with the results of those games. They played first Test on 16, 17, 18, 20 and 21December, 1977. India first innings – 402 runs all out, Mohinder Amarnath 90 and Chetan Chauhan 88 runs. Australia first innings – 394 runs all out, Bob Simpson 176, John Dyson 53 and Steve Rixon 50 runs. Australia second innings – 342 runs for the loss of eight wickets, Tony Mann 105 and Peter Toohey 83 runs. The fifth Test of the series was played on 1, 2, 3, 4 and 5 February, 1992. Australia first innings – 346 runs all out in 125.5 overs, David Boon 107, Allan Border 59 and Tom Moody 50 runs. India first innings – 272 runs all out in 89.5 overs, Sachin Tendulkar 114 and Kiran More 43 runs. Australia second innings – 367 runs for the loss of six wickets declared in 113.3 overs, Dean Jones unbeaten 150 and Moody 101 runs. India second innings – 141 runs all out in 55.1 overs, Kris Srikkanth 38 and Navjot Sidhu 35 runs. Result – Austrlia won by 300 runs. The third Test took place on 16, 17, 18 and 19 January, 2008. 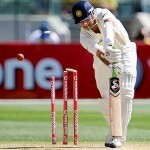 India first innings – 330 runs all out in 98.2 overs, Rahul Dravid 93 and Tendulkar 71 runs. Australia first innings – 212 runs all out in 50 overs, Andrew Symonds 66 and Adam Gilchrist 55 runs. India second innings – 294 runs all out in 80.4 overs, VVS Laxman 79 and Irfan Pathan 46 runs. Australia second innings – 340 runs all out in 86.5 overs, Michael Clarke 81 and Mitchell Johnson unbeaten 50 runs. They will face each other in the third Test at Western Australia Cricket Association Ground, Perth, which will start from January 13, 2012. It will be an important game for the Indians and especially their batsmen have to perform well to give their bowlers a reasonable score to defend. They are capable of bouncing back in the series by winning at WACA, Perth, otherwise the Kangaroos will register their name as ‘the winner of the 2011-12, series’.